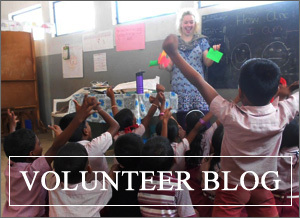 Volunteer Diary: Don’t Think: ACT! Melissa Hughes is currently volunteering in Sri Lanka and has kindly written an excellent blog reflecting on her first two months there, from planting a commemorative tree to mark her arrival to playing cricket on World Teachers’ Day. 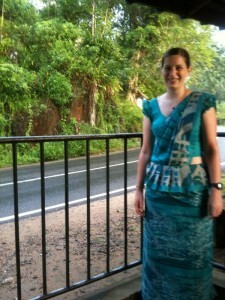 I was a little nervous about embarking on my first overseas volunteering experience in Sri Lanka. There was no need to be though. From the moment I arrived in this wonderful country I felt completely at home. My first day at school was slightly daunting, but it was a day I will never forget. I was greeted by warm, welcoming smiles and much curiosity from students and teachers alike. A special assembly was held in my honour, with speeches from the principal, Head of English and various students, followed by a request for me to make a speech too! A special lunch had also been arranged for me with all of the teachers, who were keen to hear about me and life in England. The scrapbook of photos I had put together definitely helped in my initial bonding with them! We ate milk rice, which is the usual Sri Lankan dish for celebrations, as well as other traditional sweets and cakes donated by the parents. After a meeting with the English teachers and teaching my first two lessons (one in front of nearly 50 Grade 8 students in a noisy shared classroom! ), I was asked to plant a tree in the school grounds to commemorate my arrival. By the end of the first day, I felt utterly privileged to have joined the school community, and completely humbled by the welcome I had received. Since that first day, there have been endless moments that have taken my breath away and moved me to my very core. My favourite time of day is 7:30am when I witness nearly 400 students joining together for Buddhist chanting to the backdrop of lush green hills and coconut trees. In that moment, I feel completely energised, alive and happy. ‘She is very beautiful teacher’ – Students work! The students are so special and frequently make me laugh and smile. I had been teaching The Carpenters song “Top of the World” to the older students and I was rewarded by a Grade 9 girl, Rumesha, delivering a pitch-perfect version of the chorus that made every hair on my arms stand on end. Each day, several Grade 8 pupils present me with extra written work they have produced for me, including one boy Sachithra, who writes songs for me inspired by the work I have been doing with his class. Another favourite moment so far was on World Teacher’s Day, when the students arranged a teachers v. students cricket match. I got the biggest cheer of my life when I stepped up to bat, and an even bigger cheer when I actually managed to hit the ball! Standing in the field looking back at 400 students, some of whom were playing steel drums and chanting, whilst I played the nation’s favourite sport is another moment that will stay with me forever. There have been so many other wonderful experiences in these past eight weeks, and I cannot wait to see what the next five weeks hold. If you are thinking about volunteering with VESL my message would be don’t think – act! You are guaranteed an incredibly rewarding experience you will never forget. 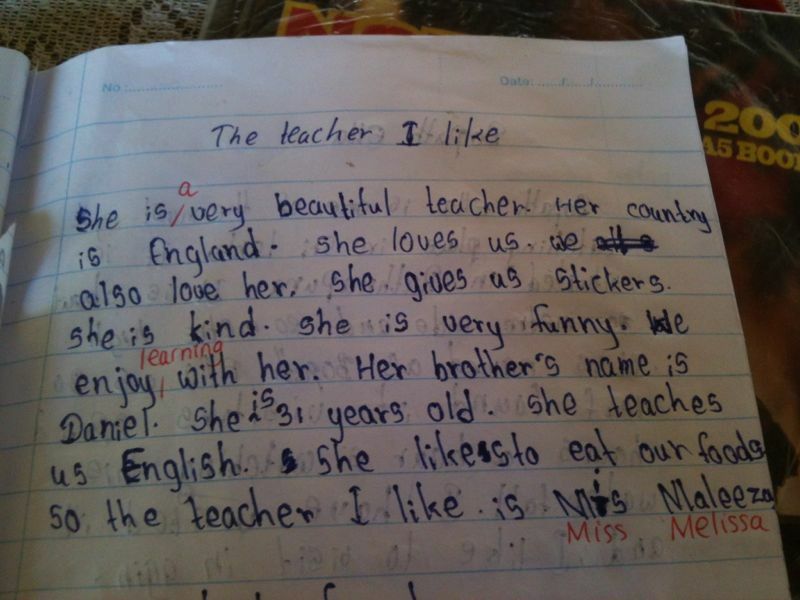 The schools here in Sri Lanka desperately need more volunteers to help improve their English speaking and listening, and your efforts will be more than appreciated. Come and be a part of something amazing; you won’t regret it!